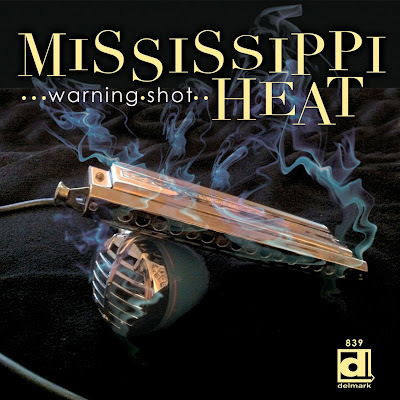 I just received the newest release, Warning Shot, from Mississippi Heat and it's real nice! Opening with Sweet Poison, an Elmore James like track, featuring Inetta Visor on vocal and Giles Corey on super slide. Pierre Lacocque lays in some smoking harp work backed by Neal O'Hara on piano, Brian Quinn on bass and Kenny Smith on drums. Alley Cat Boogie is a fast paced boogie with a driving piano line from O'Hara and Andrew Thomas on drums. Visor really rolls with the vocals on this track backed by Mae Koen, Diane Madison and Nanette Frank on backing vocals. Lacocque rips a super harp solo on this track and Sax Gordon blows a fine solo of his own! Come To Mama has a definite New Orleans flavor with added percussion from Ruben Alvarez. O'Hara puts a real authentic spin on the piano work and Gordon adds some really cool sax work to compliment Lacocque's excellent harp phrasing. I Don't Know is a club style ballad and Visor really digs into her vocal style. Lacocque shows his impeccable harp style on his solo work on this track and Corey also lays out some really nice guitar soloing on this track. Yeah Now Baby really gets into gear with an uptempo blues track. Michael Dotson takes the lead on vocal and Lacocque really shines on this track. Andrew Thomas sets the pace on drums with a tight snare ride throughout. Funky track Birthday Song gets back to that New Orleans sound with a good amount of bounce. Visor, Koen, Madison and Frank played against the horns and keys make for a nice contrast and Carl Weathersby rips it loose on guitar as well. Alvarez, Gordon and Quinn each take nice solos as well for a really cool jam. Nowhere To Go has a cool lope for a more traditional Chicago sound. Lacocque takes advantage of the pace and lays down another super harp solo. 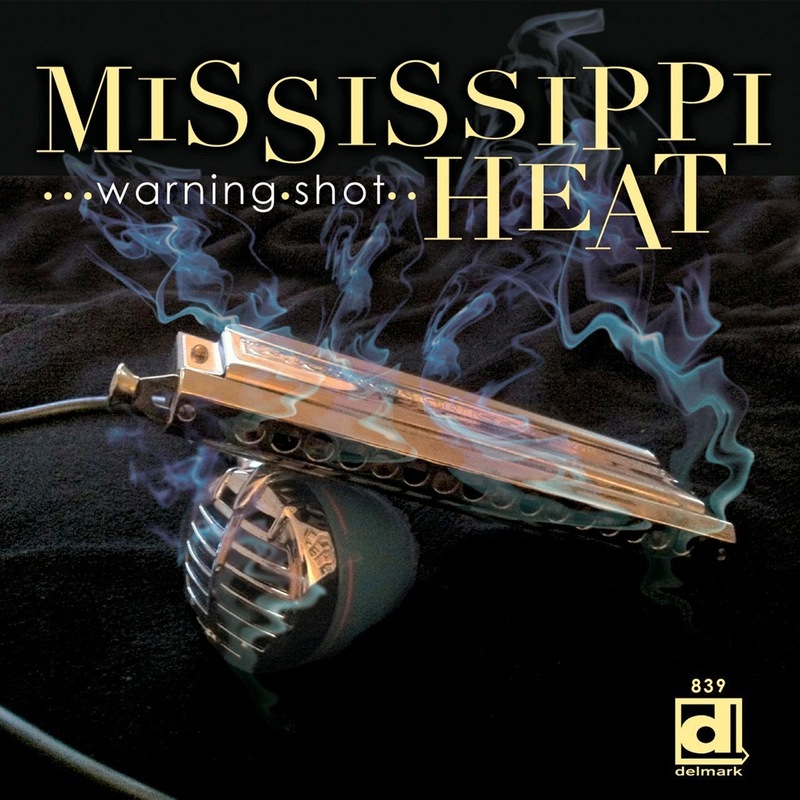 Title track Warning Shot has a cool swing and O'Hara takes a nice organ solo followed by Corey and Gordon who both lay it out! 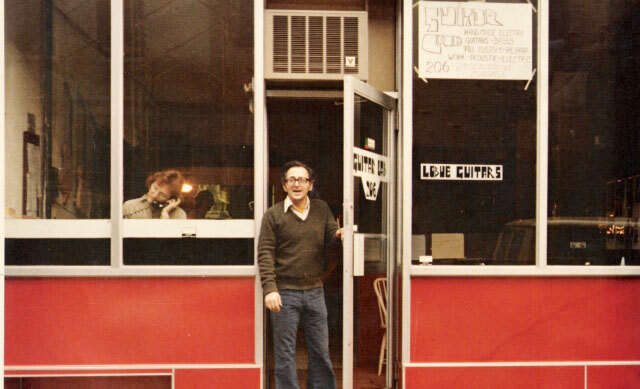 Swingy Dingy Baby is a super shuffle featuring Dotson on vocal. A slick guitar solo heats up this track and Lacocque and O'Hara squeeze it for what it's worth. Too Sad To Wipe My Tears has a early delta feel with simple guitar riffs and expressive harp soloing. Visor's rich vocals are well suited to this style as well. Recession Blues returns to the Latin flavor with distinctive percussion from Alvarez. An easy blues rock overtone gives Corey a opening to play some really stylized guitar riffs followed by Lacocque. Excellent! 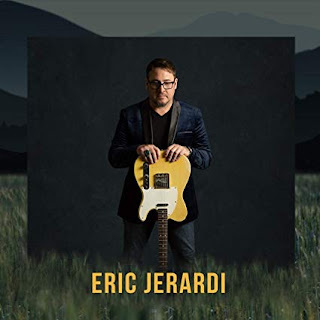 Evaporated Blues has an unusual approach to the blues with a staggered military kind of drum work and a swampy feel. This is a cool track featuring Dotson on lead vocal and cool key work from O'Hara throughout. Hank Williams classic, Your Cheating Heart, gets a swing makeover with Lacocque taking the melody on harp. Gordon takes a really throaty sax solo on this track as well giving it extra body. A Part Of Something Special has a really funky groove and Visor puts forward my favorite vocals on the release. Gordon gets into a really grinding groove followed by a crisp solo by Lacocque making this one of my favorite tracks on the release. What Cha Say? is a really nice slow blues instrumental lead by Lacocque over a strong bass line from Quinn. Kenny Smith takes the lead on vocal on this track and Corey adds some nice slide guitar work as well. 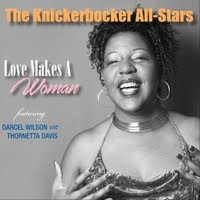 Wrapping the release is Working Man, a quick paced Chicago style blues with Visor back on lead vocal. With O'Hara setting the pace and Lacocque playing to the lead, Corey and Lacocque each take turns with cool solos. O'Hara and Smith warm the track making this is a nice conclusion to a really cool release.